Ljubljana - Zagreb has dozens of daily bus lines. Prices vary depending on the bus carrier, and a number of other factors, such as the time of departure and so on. The journey Ljubljana - Zagreb takes around 1 hour and 40 minutes to 2 hours and 20 minutes for a distance of 142 km. All buses that drive on the route Ljubljana - Zagreb are fully equipped and most of them have air conditioning and free access to the internet, and some of them offer TV, toilet, and drink. The bus station in Ljubljana is located near the railway station in the center of Ljubljana and Ljubljana itself is small enough (I mean central part) that you can go by foot. Bus Station Zagreb is located about 10 minutes away by public transport from the city center and is well equipped with additional amenities such as a bakery, cafe, kiosk with daily newspapers and the like. Since, Ljubljana and Zagreb are capitals of Slovenia and Croatia, tourism, culture and any other facilities in these cities are more than available. Bus station Ljubljana is the main station in Slovenia. Bus and train station are located in the center of Ljubljana, very close to the symbol of the city, the dragon, i.e. Dragon Bridge from 1819. The station dates from 1961 and has 33 platforms. This station is located near the train station and therefore is a great relief to all passengers who traveling with a different type of transports. The simplest way of buying bus ticket for international transportation Ljubljana - Zagreb are over Vollo applications, but if you still insist on the "old fashion" way of booking tickets you can do it at the Info Center or by phone number 1991. Ljubljana offers a lot to its visitors, and the center of Ljubljana is very close to the bus station. Ljubljana is a city where you always feel good, especially if you walk around the old town of Ljubljana looking for old buildings, modern cafes, the Cathedral of St. Nicholas, Orthodox Church of Cyril and Methodius, City Hall, Tivoli Park, numerous bridges and many other interesting places. As noted above, this is the largest station in Slovenia and because of that is well connected to the town and the internal and international traffic such as Prague, Venice, Munich, Vienna and other cities on the map of Europe. Journey Ljubljana - Zagreb is relatively short, it lasts an average about 2 hours. Since this route are linking the two capitals, of two countries, which are both in the EU you don't have to worry about roads and their maintenance. The connection between Ljubljana - Zagreb is very good over the fast roads and highways. There aren't any stops at other bus stations and once when you place in the bus, you can be sure that no one and nothing will hinder you until you reach your destination. Oh, yes, it would be good if you go to the toilet and fresh up before you sit on a bus because there isn't stops at other bus stations. As the station in Ljubljana and Zagreb Bus Station its beginnings record from 1961. The bus station has 44 bus platforms, and as the largest stations in Croatia offers the best connections in Croatia and in all neighboring countries and European centers. Since this is the main station in Zagreb, then it is not hard to imagine that it is equipped with everything you need for a comfortable travel, such as buying a sandwich, juice or water, daily newspapers and the like. Zagreb Bus Station has a wardrobe where you can drop off your stuff while you are in a coffee shop or go to the toilet to freshen up. Most of, and quite possibly all of the buses that operate on the route Ljubljana - Zagreb have air conditioning and free Internet access, TV, and in some buses have outlets for charging cell phones or laptops. Some bus carriers have a toilet in the bus, and some in addition to all of the above offer and coffee or some other drink and do not charge baggage. The cost of the bus ticket in one direction is range from € 6.72 to € 13.9, depending on the time of departure and many other factors. Considering that both, Ljubljana and Zagreb, are capital cities in Slovenia and Croatia, many will think that travel between these two destinations are shortened with the plane. But, are you sure that the trip will be shorter (and I mean at the spent time at the airport), and then, are you sure that the trip will be cheaper? All buses that operate on this route are newly produced and therefore are modern and bus carriers investing the maximum in their offer for comfortable and quickly travel. On the route between Ljubljana - Zagreb drive bus carriers such as Flixbus, Panturist, ArrivaExpress, BlaBlaCar, Crnja Tours, Puntamika-line, Croatia Bus and many others. Since buses generally drive on the highway A2 on this route usually there is no stopping. Larger towns through which they pass are Samobor in Croatia and Novo Mesto in Slovenia. Be sure to enjoy the beautiful landscape through which you pass. Samobor is a town with a well-preserved old town and old tourist tradition. This medieval town with baroque architecture is located on the border between Croatia and Slovenia. There are a lot of things worth seeing in Samobor, it would be fair to say, the whole city is a colorful museum that must be seen. The most important buildings are located in the very heart of the old town of Samobor. Don't forget that Samobor is famous for its gastronomy, and the most famous in Samobor are garlic sausages, stew by game or trout or well-known Samobor custard pastries. Novo Mesto is surrounded by mountains in the embrace of the river Krka. Nature has been generous here, so, the Novo Mesto is known for its nature, tradition, and culture which will at first glance experience every visitor of this beautiful city. Herein next to the river Krka and its river valley, also well-known mills and mansions that blend with the landscape and numerous vineyards. For a start, Ljubljana is the capital of Slovenia and is considered to be one of the smaller capital cities in Europe. It is distinguished by a special charm, and that is obviously recognized by many tourists that you can see at every step in Ljubljana. The best way for exploring Ljubljana is to start at the central part of the city from Preseren Square and the monument and the Franciscan Church of the Assumption. From the central square, you are in a great location for further sightseeing, such as the building of Central Pharmacy or Hauptman House and the most popular and most beautiful bridge over the river Ljubljanica, Tromostovje. This bridge is associated with many legends. Ljubljana is a textbook example of a city that lives on the river and it is an indispensable part of life for all in Ljubljana or travelers who stay in Ljubljana. Besides this bridge, it should be mentioned others bridges like Trnovski, Zmajski and the Cevljar Bridge that you can meet in a boat ride on the river. The entrance into the old town makes Philip's Castle and Kresija. The most important square in the old town is a town square where you can see the City Hall from the 18th century and Robb's fountain which presents three rivers: Sava, Krka, and Ljubljanica. All of you who come to Ljubljana will enjoy in the National Gallery of Slovenia and in the Modern Gallery of Ljubljana where are the works of largest Slovenian artists. Ljubljana is hosting of the Ljubljana Film Festival and the Festival of world music Druga Godba. Perhaps Ljubljana is a small town with only about 300,000 residents and where you can without any problems go on foot or on a bike, but you should not underestimate this city or taken lightly. And, yes, the food, definitely try burek with Kranjska sausage that is in this area very popular. I know that I repeat like parrots, but still ... So, the basic facts that are related to the city of Zagreb. Zagreb is the Croatian capital and the largest city in Croatia, with over one million inhabitants. Visitors are delighted with the cultural heritage of Zagreb and all its sights, which has many, indeed. 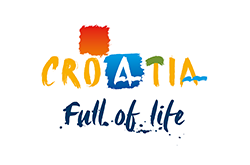 Various events, festivals of urban music, fairs and many other attracts many tourists every day in Zagreb. Zagreb is one of those cities that are extremely friendly to pedestrians, i.e. for Zagreb can be said that is the pedestrian-friendly city, too. This is especially true in the very center of the city where there are many squares and streets in the pedestrian zone. If you are in Zagreb, be sure to take a walk from the train station or bus station to the main square and visit the King Tomislav Square, Zagreb Archaeological Museum, Croatian Academy of Sciences and Arts, the Modern Gallery and park Zrinjevac. And when you come to the main square and you go walk around the Upper Town of Zagreb be sure to visit the Cathedral, the largest sacral building, and the Stone Gate, visit the Square of St. Mark and homonymous church with a unique "painted" roof which is the hallmark of Zagreb and is on the most of the postcards. On the Square of St. Mark is the palace in which are the Croatian Parliament and the Ban's Palace, the former residence of Governor of the Croatia, and today is the seat of the Croatian Government. Zagreb was named the top destination at the time of Advent, so if you are in November or December in Zagreb definitely walk around Christmas Fair, warm up with a cup of hot chocolate or mulled wine, treat yourself with a sweet delicacy inherent only Zagreb. Need to go back from Zagreb to Ljubljana? No problem, just buy your bus ticket and enjoy your ride.